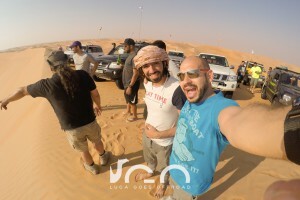 Finally I went to Liwa! 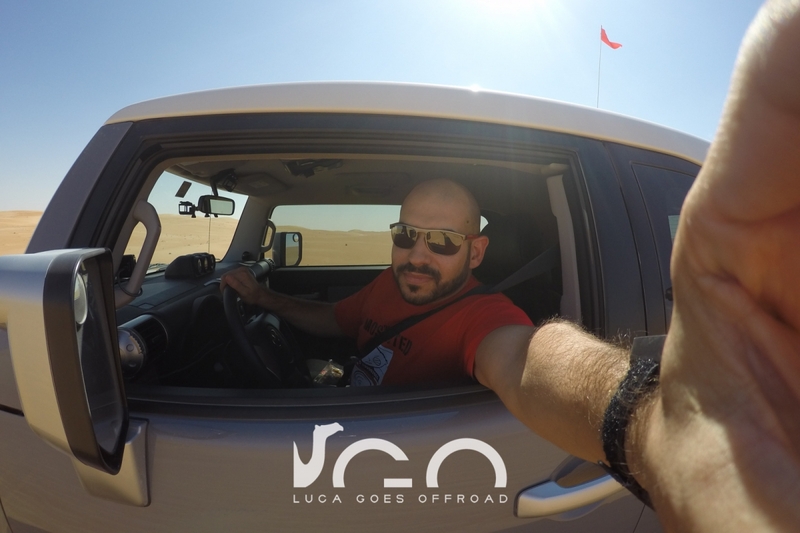 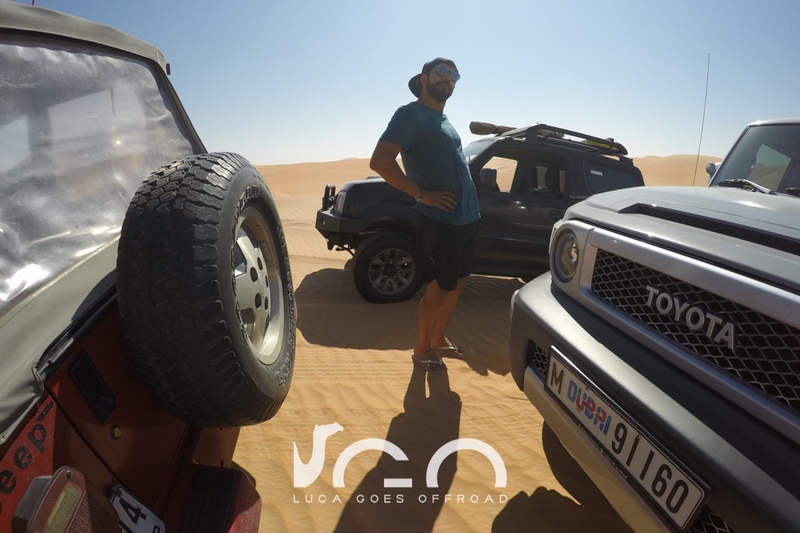 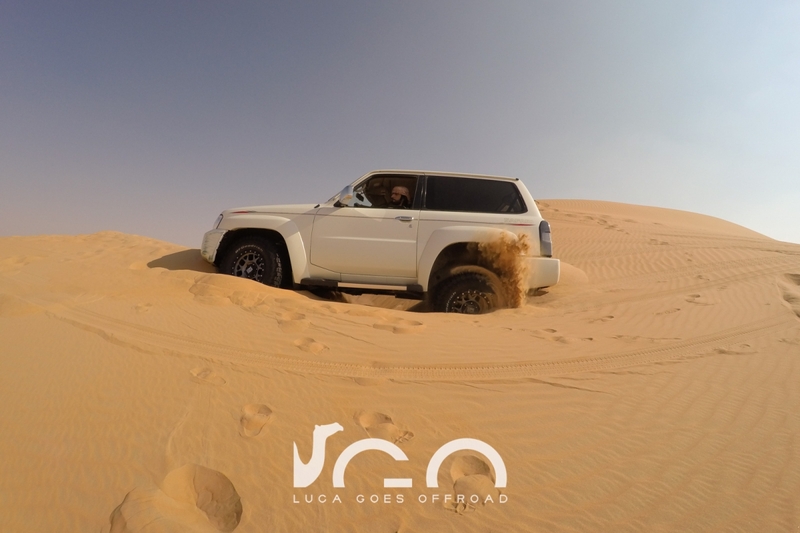 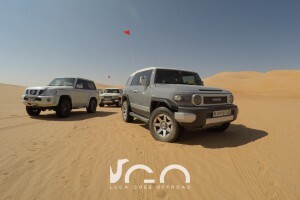 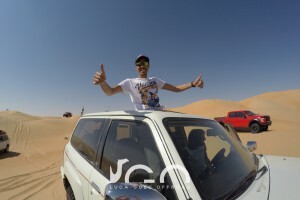 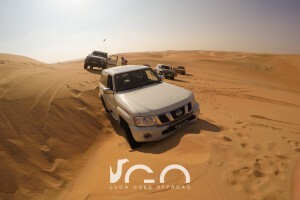 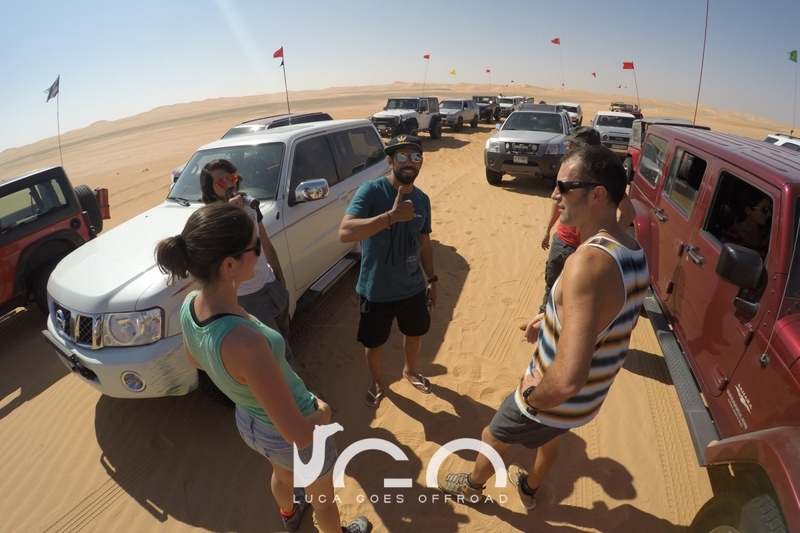 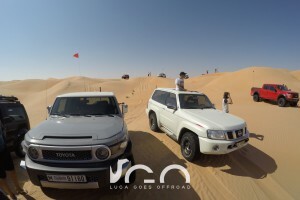 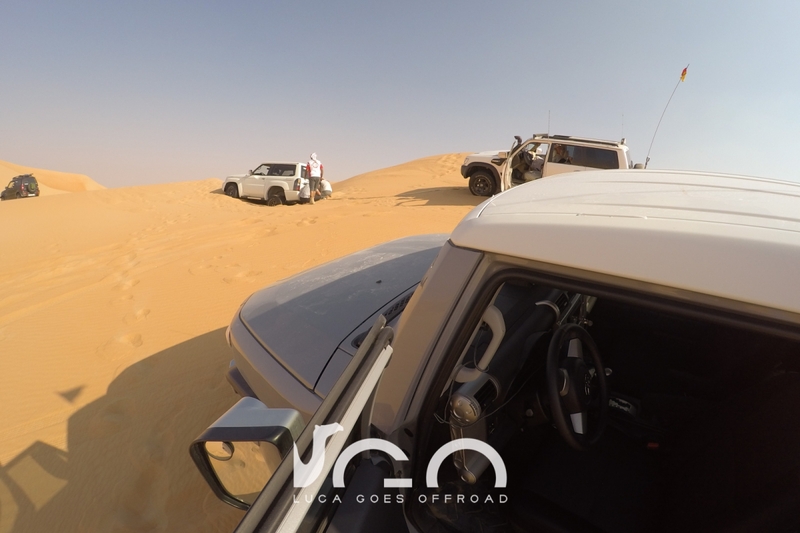 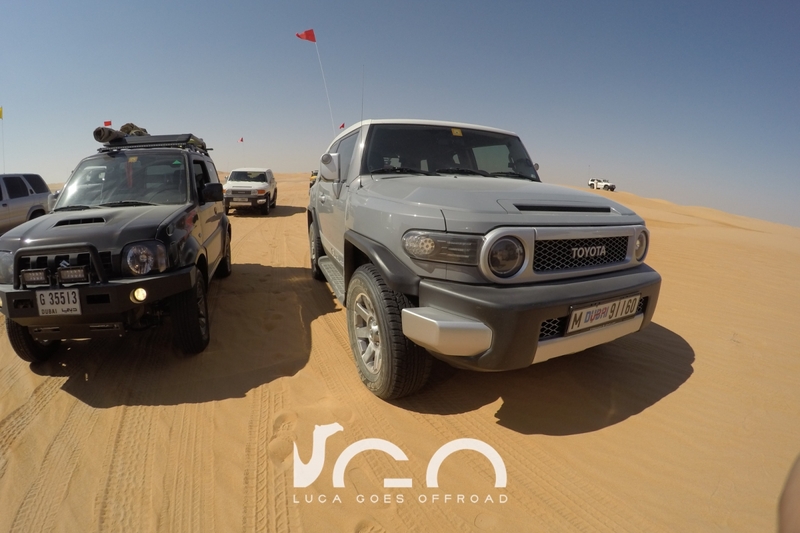 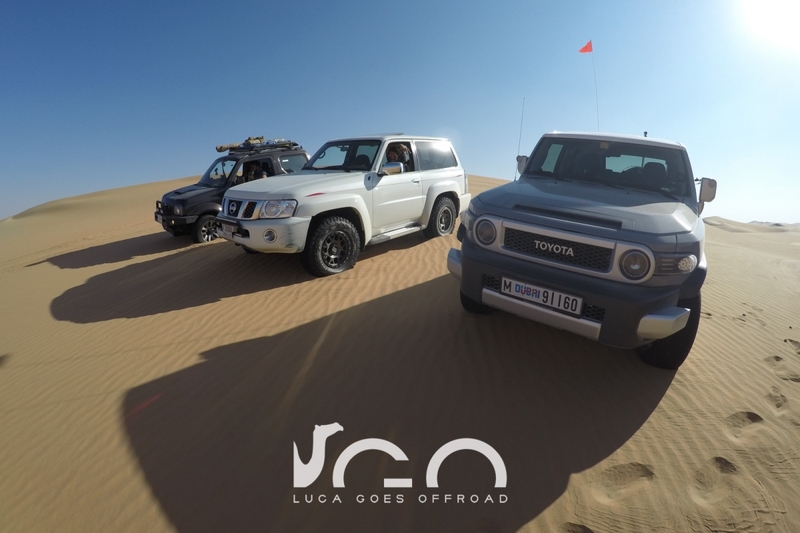 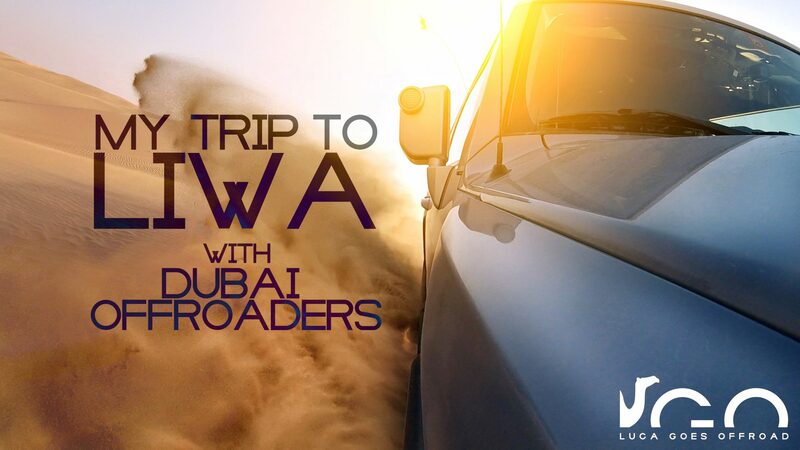 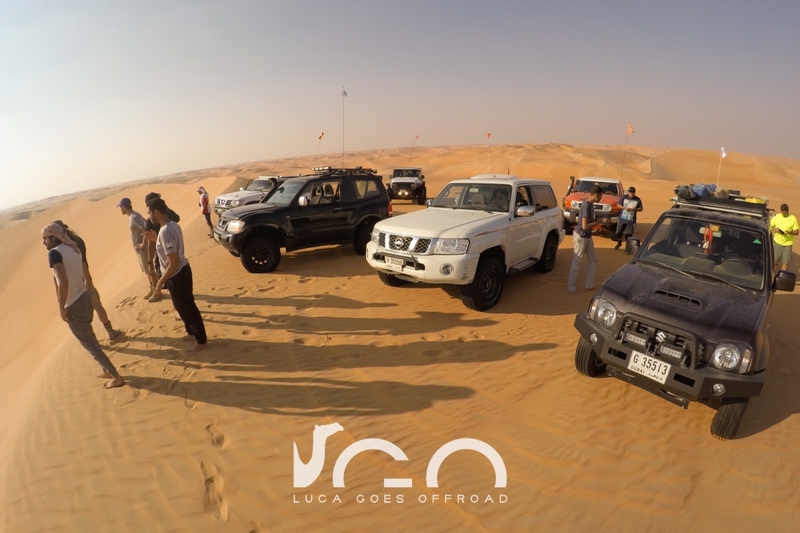 Since I bought my FJ Cruiser I always wanted to go there so, after 6 or 7 drives with Dubai Offroaders, I was ready for this experience. 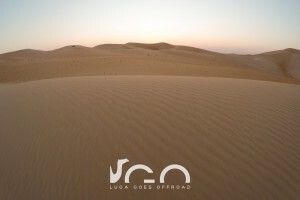 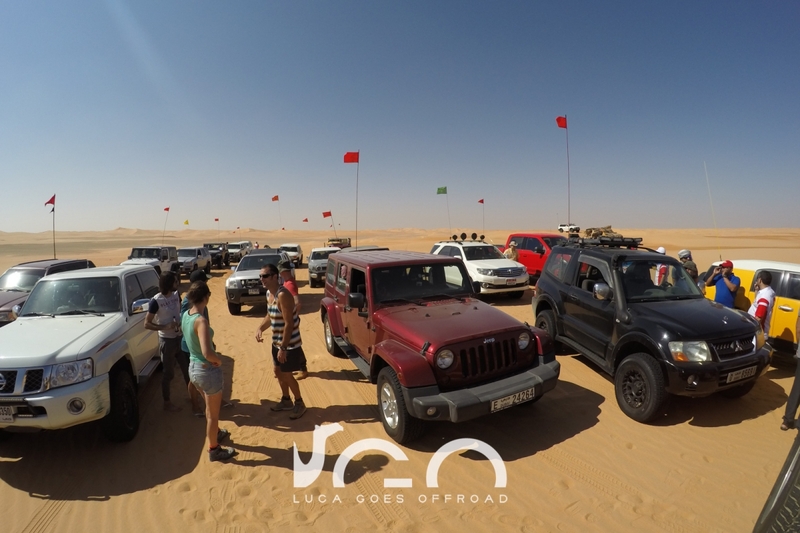 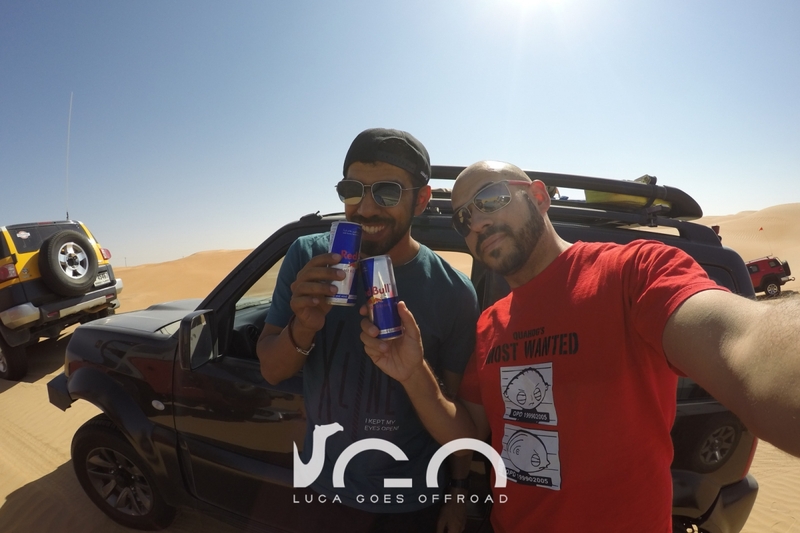 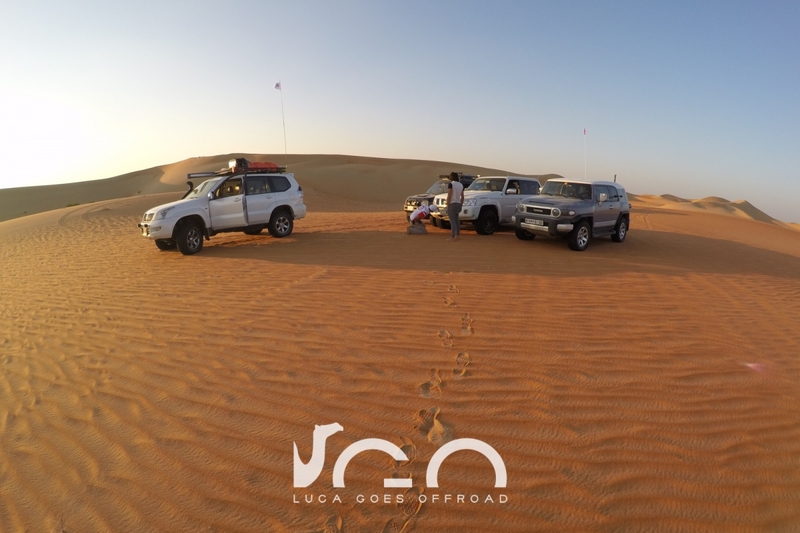 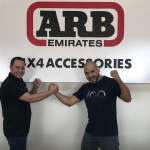 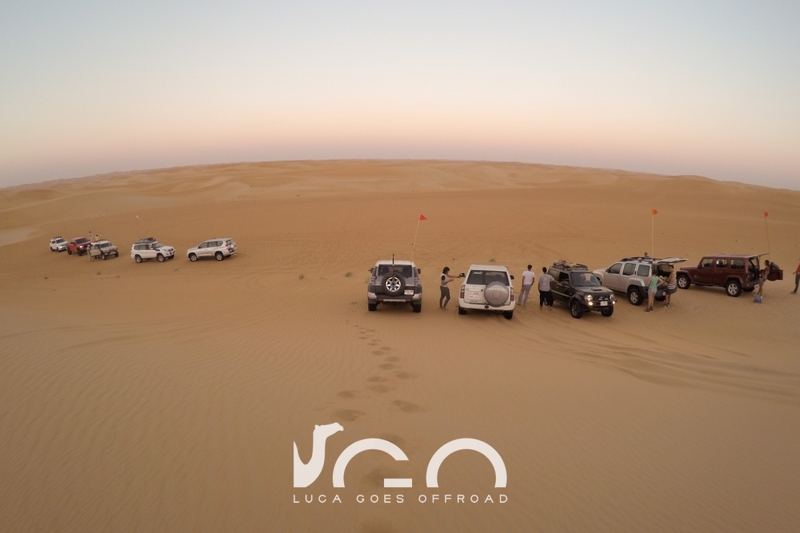 The meeting was friday early morning, we met in a petrol station in Jebel Ali area and, after some breakfast and chit chat, we turned our cars (around 35) in the direction of Hamim, more than 2 hours drive, our entry point to the magic desert of Liwa. We gathered just before entering in the real sand and we created the convoys. 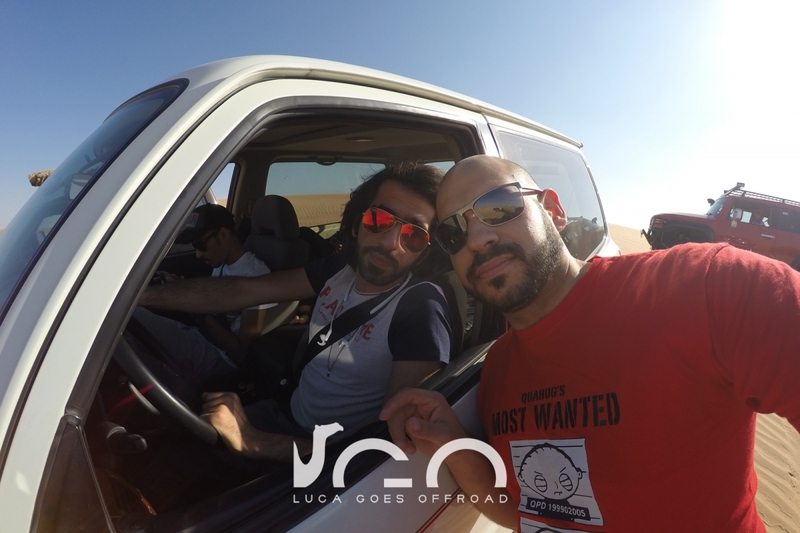 Me, Abdallah and Hassan, newly promoted “1 Star”, have been diverted to the newbie group, for security reasons. 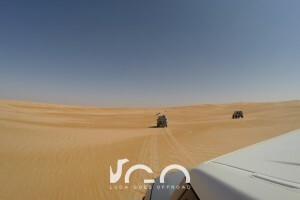 Liwa can be a dangerous place and the marshalls wanted to be sure that we all drove safely. 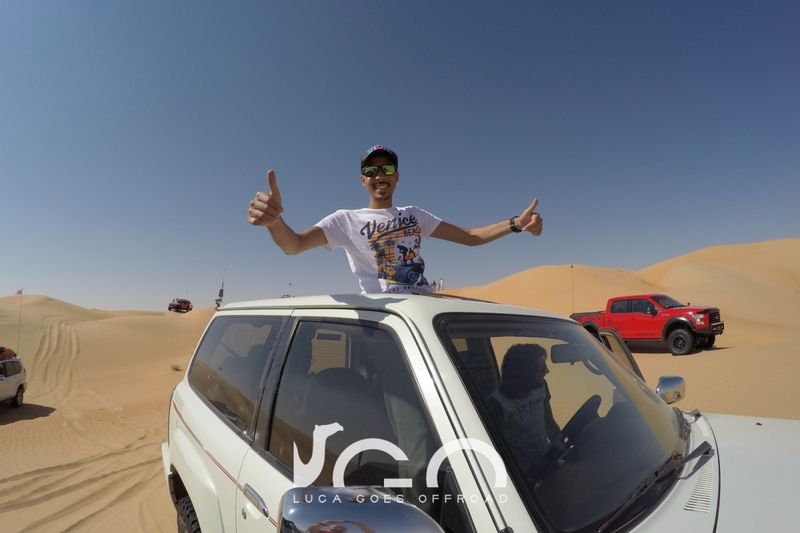 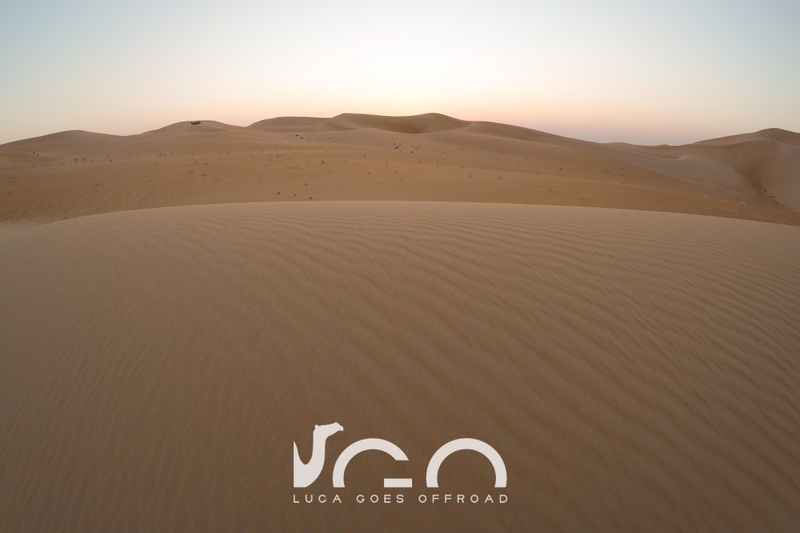 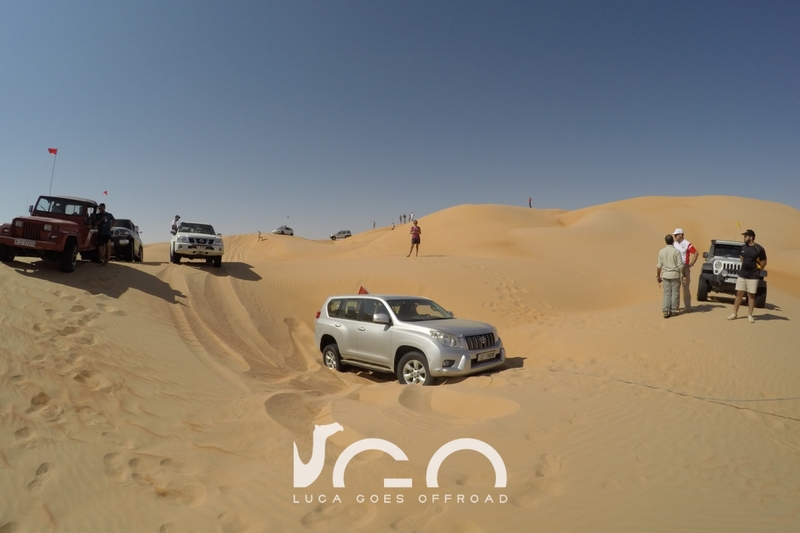 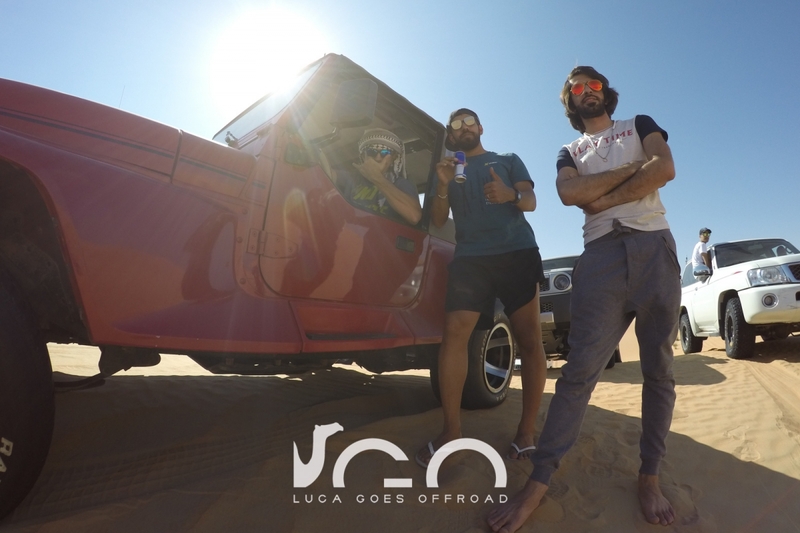 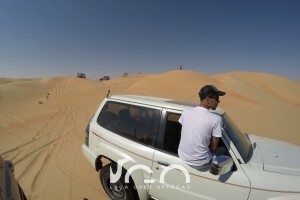 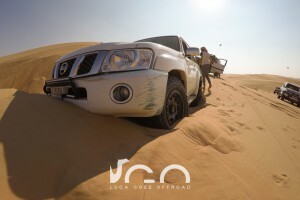 Unfortunately that meant spending the whole first day driving on tracks and waiting for other people that got stock in the short parts of soft dunes that we encountered on our path. It was anyway a good chance to make some new friends. 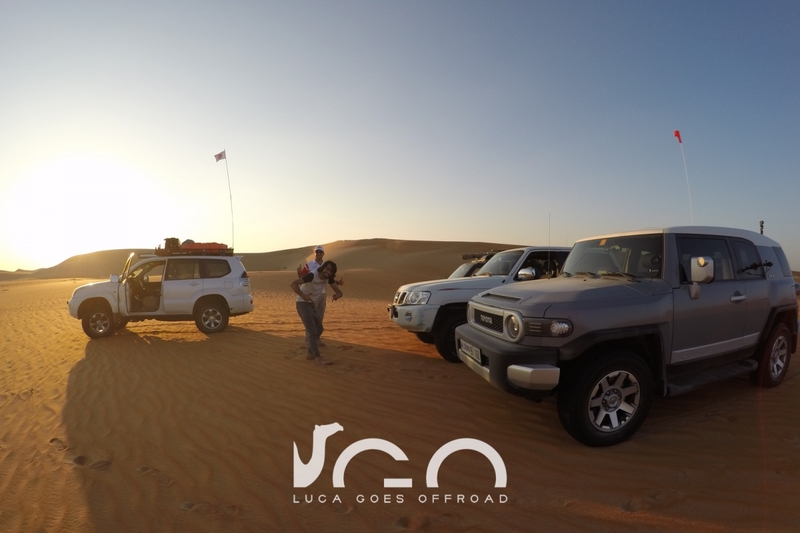 Right before the sunset we arrived in a big flat area where we set our night camp. 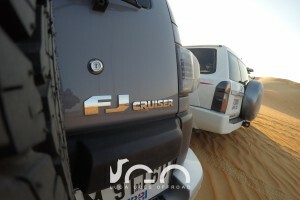 The evening was a relaxing experience, fire, barbecue, jokes till late night and offroading stories. 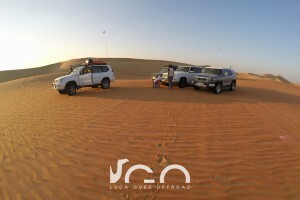 When the night came we all got back to our tents and slept until 6am, when we all started our fires for the breakfast. 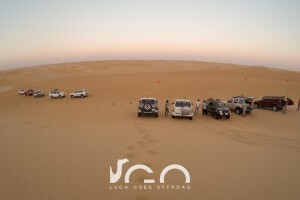 Around 9:30 we were ready to go, but this time me and my 1 star colleagues were in the fewbie group. 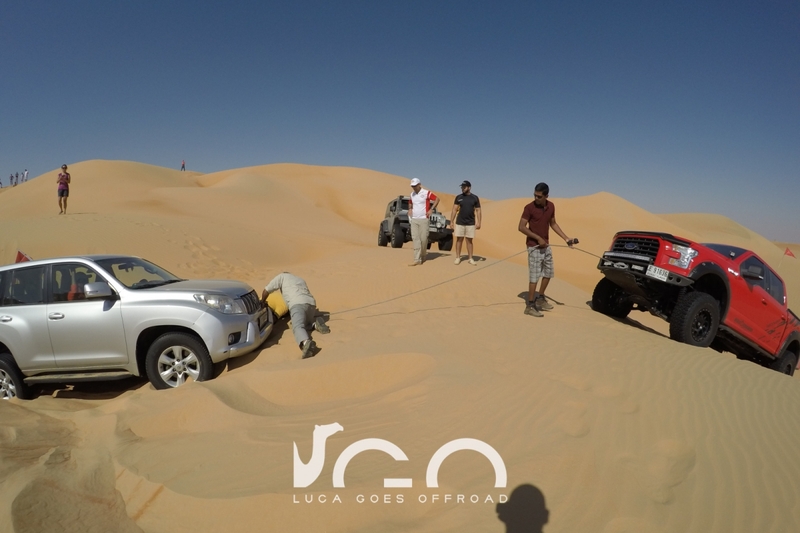 The drive started but unfortunately someone had problems with his Wrangler and needed to be towed until the street and call the road assistance. 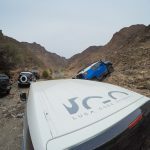 The day before another Wrangler had problems and that makes me think about the reliability of cars that are meant for extreme conditions… Jeep, don’t you think that, before doing the cool merchandising with cool accessories and hungry-eyes-looking headlights MAYBE you should make cars that don’t put people in danger?? 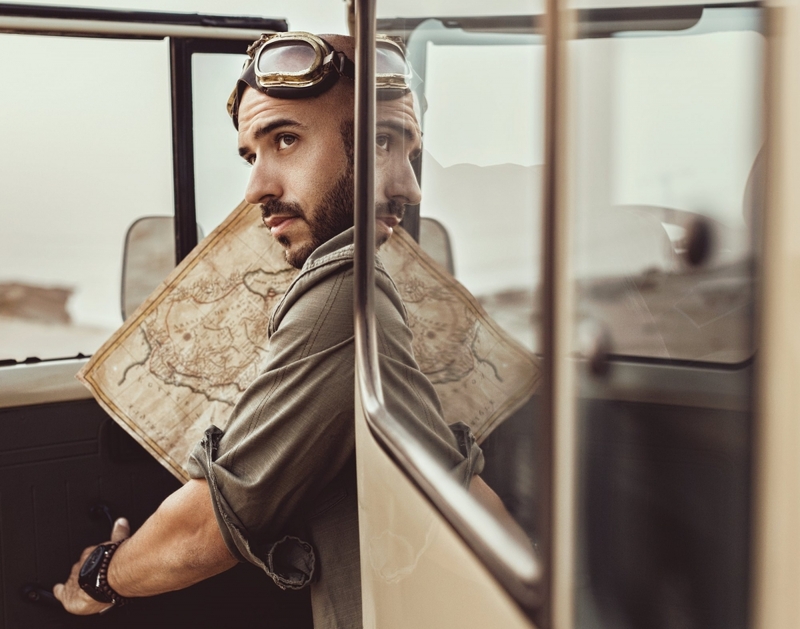 Just my 2 cent… but you will never have my money.